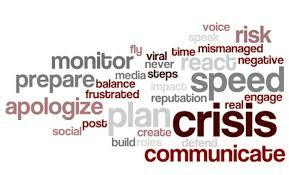 What makes a social media crisis an organizational crisis? What types of crisis is my organization likely to encounter? How can my organization avoid these crises? What can we do to prepare our organizations for unavoidable crises? How can we prepare ourselves and our leadership team to respond to crises? How can we assess, evaluate, and learn from our crisis management experiences? Communications” webinar on Tuesday, October 25, 2016 from 10:30-11:30 a.m. EDT. After beginning with the definition of crisis, the webinar will consider core issues involved in detecting, preventing, preparing for, responding to, and recovering from crises. In the process we’ll look at examples bound to shed light on what has worked, and failed, as individuals and organizations grappled with myriad crises over the years. Finally, we’ll work together to apply lessons learned to help organizations (particularly libraries) develop specific strategies to manage and respond to a crisis. You don’t have to look very hard to find crises in the news these days. Volkswagen and Chipotle are just two of the many organizations that have grappled with major threats this year. The incidence of such crises and the strong likelihood that we’ll no doubt see many more like them in the future make the subject a crucial one for all organizations to consider. The one-hour webinar is offered by PCI Webinars, team of experts in training, organizational development and continuing education focused on providing learning-based solutions for library organizations of all types and sizes. Each year the organization presents 100 unique live webinar learning experiences from highly acclaimed presenters and its Learning Library offers more than 150 © Access Now programs available for immediate download. Go here to purchase a recording of this Webinar. Go here to view the PowerPoint presentation on crisis management and communications I delivered. I’m concurrently developing a related class, “Crisis Response Communication,” which will be offered for the first time in the Spring 2017 by the University of San Francisco’s new M.A. in Professional Communication. 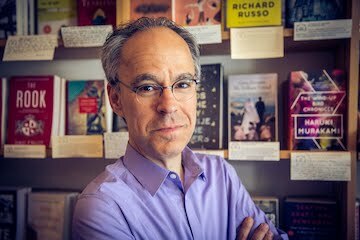 I'll be teaching the course in the Fall Semester 2017.